Jan and Dan Karney — seasoned professionals — back on stage together after a long hiatus. No count has been kept, but we've performed hundreds (likely thousands) of times including full-length concerts numbering into the hundreds. We first teamed up in our teens (some time ago)! In the 80's, I (Dan) was no longer singing professionally, quit practicing, and soon thought singing was in my past. In a 2006 reunion of the US Army Chorus, I managed a few notes, then came home and began to experiment with singing again. Now Jan and I are regularly performing together again and have recorded our first CD. We're both classically trained, but now do a mix of Broadway, movie music, standards, some Irish, and some folk. A manager at a site where we performed in 2010 gave us the label "Timeless Tunes." We liked it. I like to say I've sung in venues ranging from saloons to the White House, the latter by virtue of my stint as a soloist in the U. S. Army Chorus. That affiliation also meant I sang in many of the most prestigious and well-known venues from coast to coast as well as ABC, CBS and NBC TV networks. We usually do a 45-60 minute program, beginning with 6-10 songs of our choice, then responding to audience requests from a list we provide. But we're fine with shorter sets and breaks in a restaurant, bar or party setting. 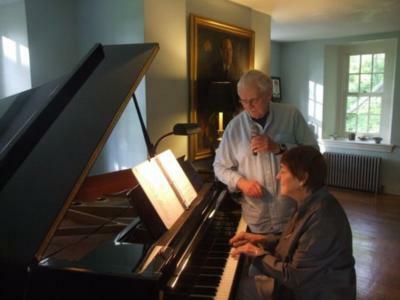 "The Karneys...Dan with his great voice and presence and Jan playing the piano, gave us a fabulous treat and excuse for bringing people together to enjoy those good old favorites. What a team!!" "Your singing is touching and affecting. Look forward to getting the CD. Bravissimo! "Love your informality and humor"
"I can feel the "heart" in the way you sing and the way Jan plays. You are definitely on the "A-list…"
"Dan is fantastic—other than Tony Bennett I don't know anyone who has kept the quality of his or her voice like he has." "You guys sound awesome! Way to go!!" "You two are very special people"
"We loved hearing you both creating music together! You do it so well." "Superb, superb! Thank you…incredibly beautiful music. Thanks for sharing your talents. "Love the CD…You both rock!" "Wow, you guys are great! Dan's voice is just gorgeous." "WONDERFUL!!! 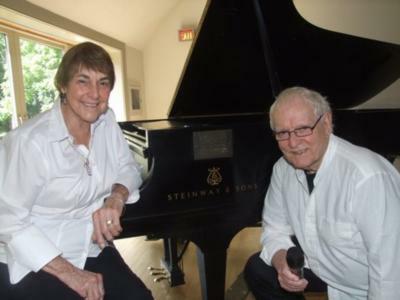 You both are so talented and fit like a hand in a glove…"
Please note "Timeless Tunes" — Dan and Jan Karney will also travel to Westtown, Cheyney, Pocopson, Thornton, Concordville, Chadds Ford, Edgemont, Glen Mills, Gradyville, Lyndell, Exton, Immaculata, Malvern, Media, Downingtown, Kennett Square, Mendenhall, Unionville, Valley Forge, Glen Riddle Lima, Lenni, Lionville, Moylan, Paoli, Thorndale, Wilmington, Aston, Berwyn, Chester Heights, Chester Springs.